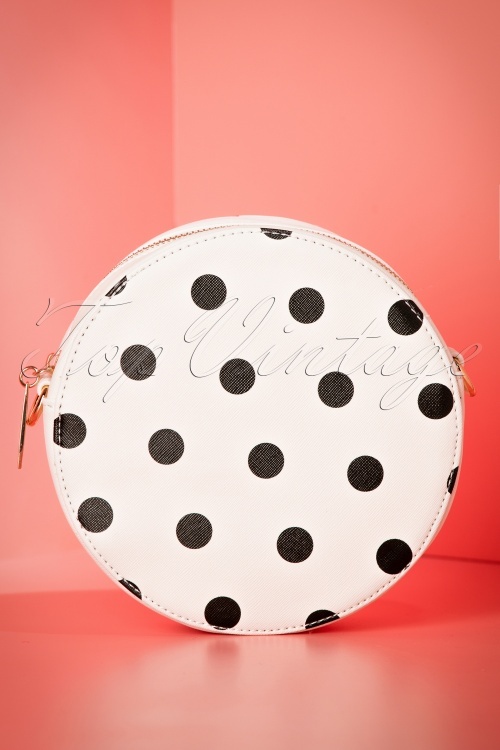 This 50s Celladora Polkadot Tote Bag is such a cutie! 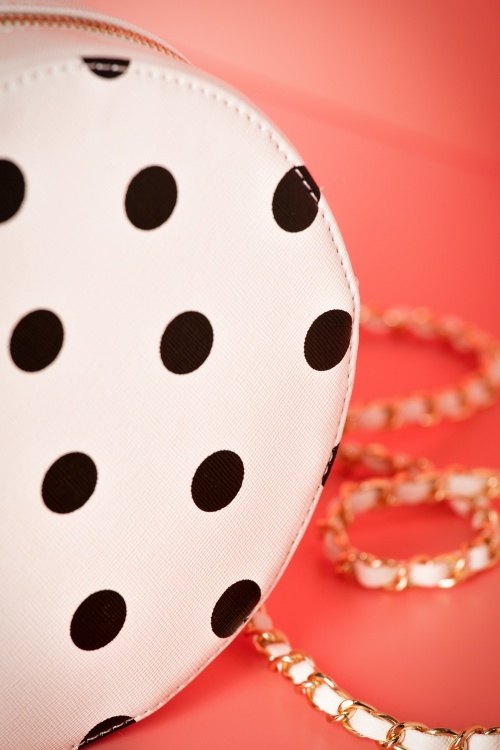 A night out with friends, shopping in the city or just to work... Celladora will never leave your side! 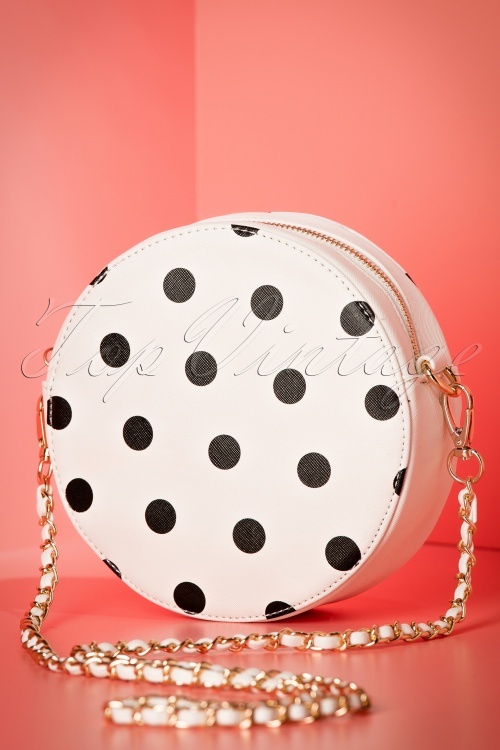 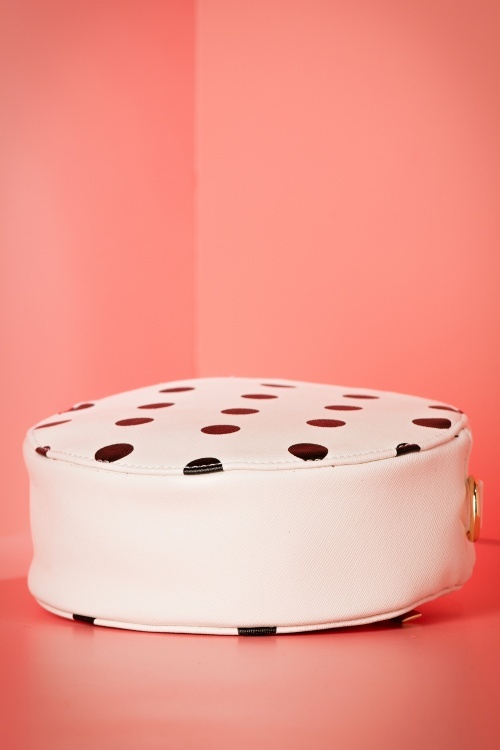 This cutie is made from ivory white faux leather featuring a fine structure and an amazing black polkadot print for a playful yet elegant look. 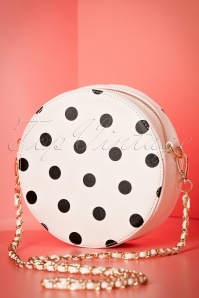 The gold toned metal chain ensures you can wear her crossbody and finishes it off completely. 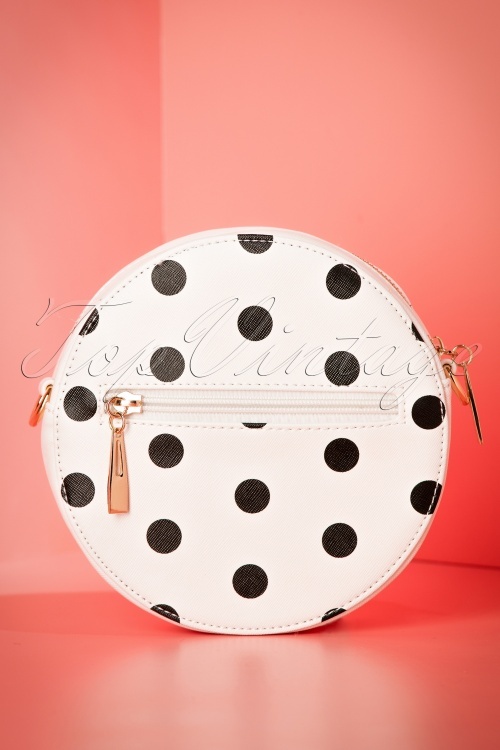 Polkadots are the perfect accessory, so is this cutie!